Exploring Namobuddha Panauti day tour is just an amazing. Namobuddha Panauti day hiking is a most demanding single day tour near Kathmandu city. The top elevation Namo Buddha hill is 1,750m/5,740ft, about 38 kilometers east of Kathmandu city. 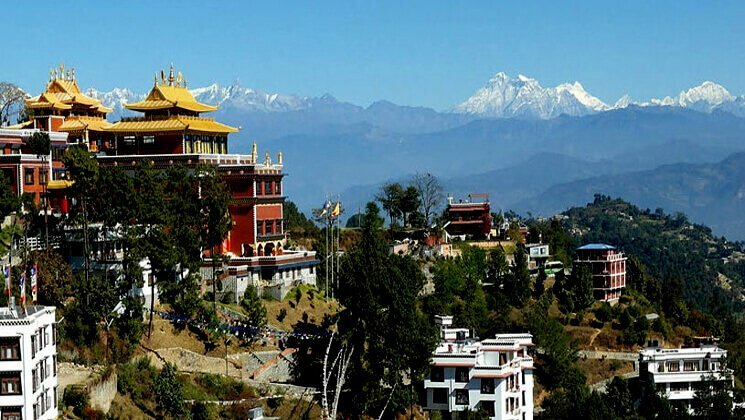 Furthermore, Namobudha hill station is famous for its dazzling location, amazing terraces, temples, and Buddhist Monastery. There is a beautiful namo buddha history and monastery. It is a purely a holy place. According to the legend, the king Mahasattva feed his own flesh to the hungry tigress to save from dying. And this Stupa remained underground for centuries. Thus, in a fine day, a Shakyamuni Buddha came and got attracted by protuberance and as soon as he clapped his hand the Stupa appeared miraculously. Besides that, Namobuddha to Panauti hiking provides you with the best view of rice terraces, orange farm, & mustard field. During the hiking, you will have a heart touching mountain views like Manaslu (8,165m), Ganesh Himal (7,446m), Lantang lirung (7,245m), Dorje Lhakpa and many other snow-covered mountains in a row. Moreover, you will have also a great view of Panauti Dhulikhel bazaar. In addition, Namobuddha combine with Panauti, a very relaxing and easy day tour. The trail winds around beautiful villages, along with the foothill, riverbanks, gorgeous rice fields. Moreover visiting Indreshwor Mahadev Temple and a cremation platform of Panauti makes your hiking trip great. Being a combination of leisure and cultural, this tour guarantees its visitors for full of fun. Day 1 Namobuddha Panauti Day Tour | Namobuddha Panauti day hiking ! Today, your day tour will start at around 8:00 am. You will have a private vehicle and a professional tour guide along with you. Your day tour begins reaching Namobuddha Hill. Then you can hike up to the Nmobuddha monastery. You Walk through the beautiful terraces visiting monastery and temples. After sightseeing around, you can walk towards Panauti bazaar. Visit Indreshwor Mahadev Temple and cremation platform. The journey takes about 4 hours of walking then the rest of part, you can drive. All meals and accommodation during the staying your staying in Kathmandu city. All types of drinks, your travel insurance and fod while on hike. Tallest mountains such as Ganesh Himal, Manaslu and Langtang Range in a row. Best weather makes the best hiking or village walking into Dhulikhel rice terraces. Total length of this hiking is around 12 kilometers. 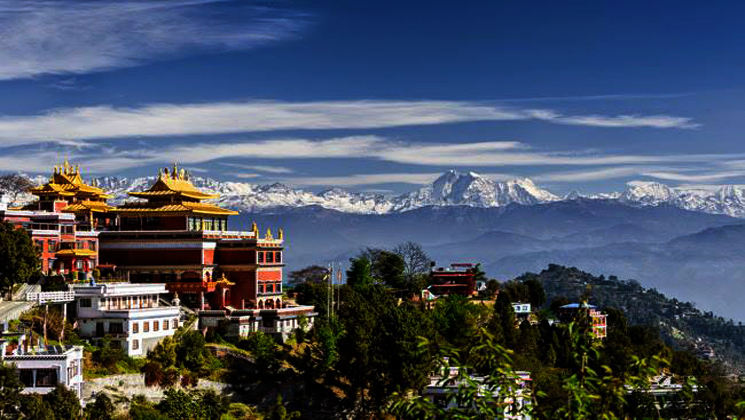 Majestic views of Kathmandu city, and some of its heritage sites. Opportunities for challenging day hiking tour or private day tour and pleasant strolls are scattered all over this planet; you just need to know where to find them. We at Gokyo Treks and Expedition believe in the quality services. Your safety and satisfaction is our concern. We are a team of professional and licensed local guides who know the destination better. Namobuddha Panauti day tour with college students! We are a team of 8 people and have booked Namobuddha Panauti day tour for my college friends with Gokyo Treks and Expedition. From the initial inquiry to the end of the trip the company was very impressive. Ammar – the founder of the company was extremely efficient. He answers all of our emails and messages by return. We were extremely fortunate to have Ammar Guni as our local Tour Guide. They were both extremely kind and always wanted to ensure we were safe and happy. Namo Buddha and Panauti day hiking tour was just awesome. Their customer service is excellent, so I would definitely recommend and use this company again. – Michael Sohr, Mannheim, Germany.